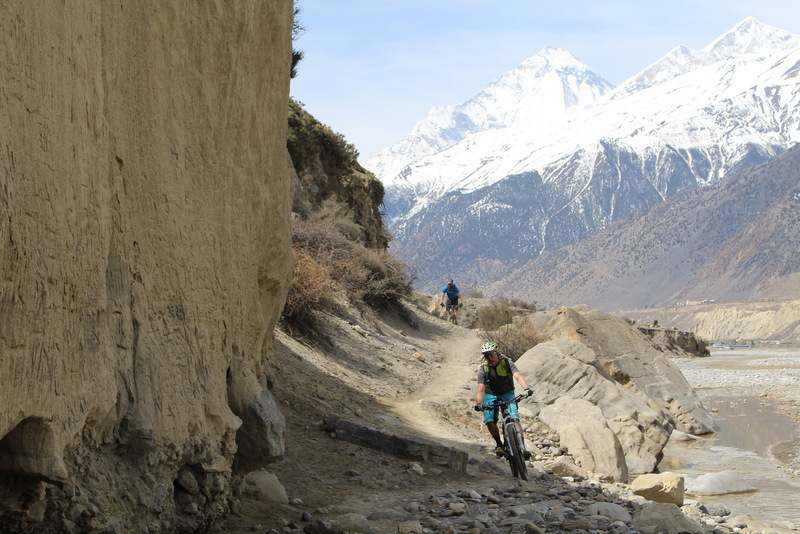 After our warm up ride, we had one and half days of travel to do before reaching the major destination of our trip: the Annapurna massif. 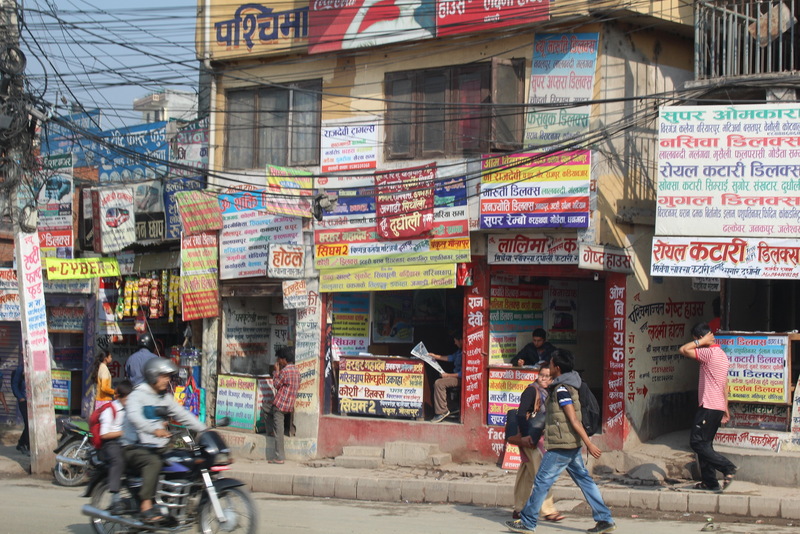 We left Kathmandu in our bus and experienced a bit more of what is like to drive around here. Even the major ‘highway’ here is simply a 2-lane road where people uses the other lane as if it was their own until a another vehicle appears in the oncoming lane. 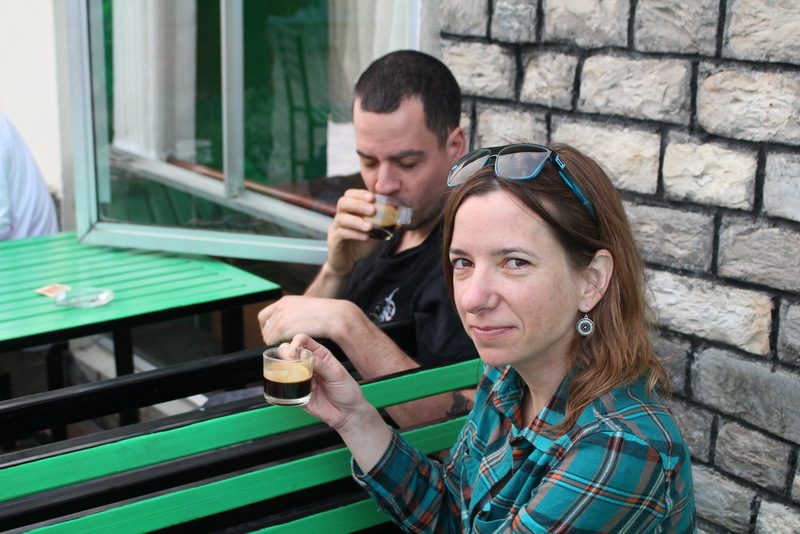 Since we had a couple of hours of driving to do, we took the time to write up a trip report and edit some videos. Even a small distance of 200 km ended up taking us most of the day. We stopped at a very beautiful and peacefull resort for lunch, they have trails but we would ride them on our way back in a couple of days. 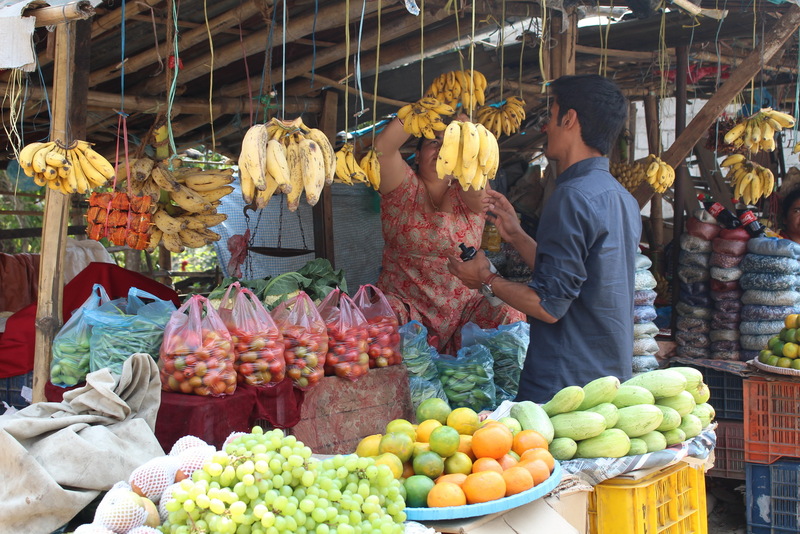 After getting some fruit we headed back on the road and again witnessed the everyday lives of Nepalis. 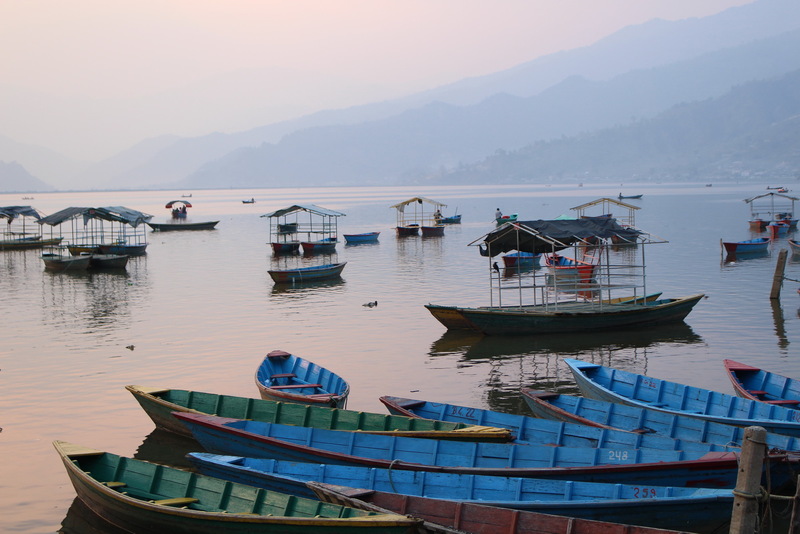 Our goal for the day was to reach the city of Pokhara, where we would spend the night before taking the flight to Jomson. 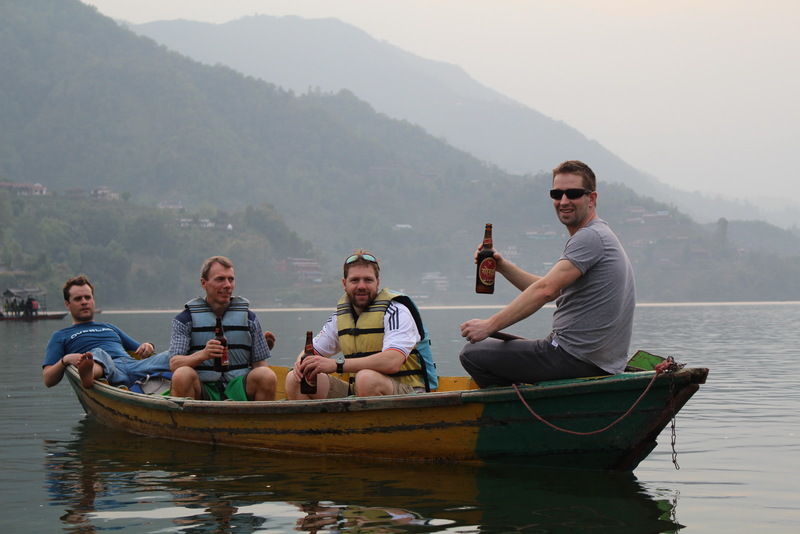 Pokhara has a very scenic lake where we, the self proclaimed ‘Redneck Yacht Club’, enjoyed a boat ride. The next morning we got up at 5:30 am to catch the flight to Jomson. 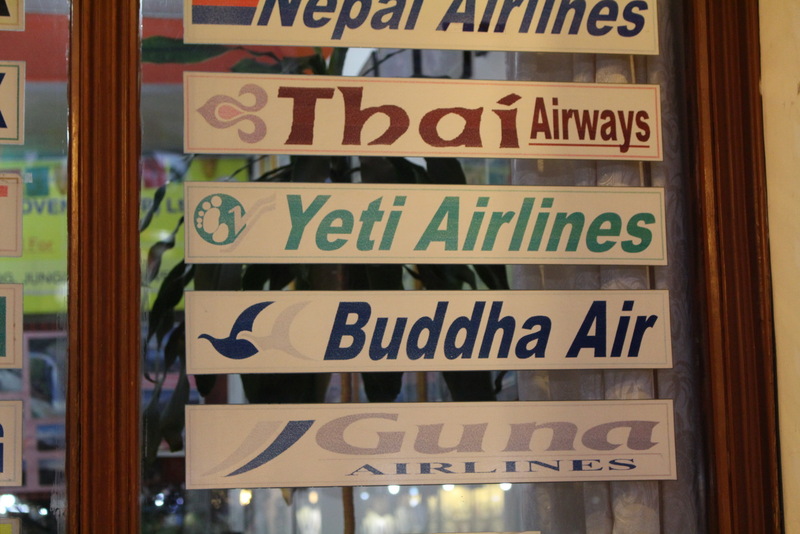 We had our choice of some pretty cool airlines such as Yeti and Buddha airlines, but our flight had the rather tame name of Tara Airlines. 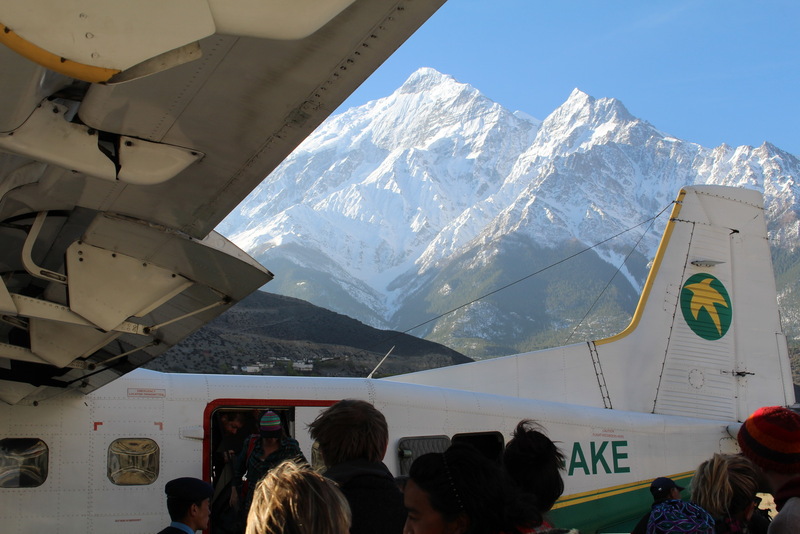 The bikes belonging to the Lake Placid crew did not arrive on time in Kathmandu to catch the jeep transport so we had to bring them on the plane. 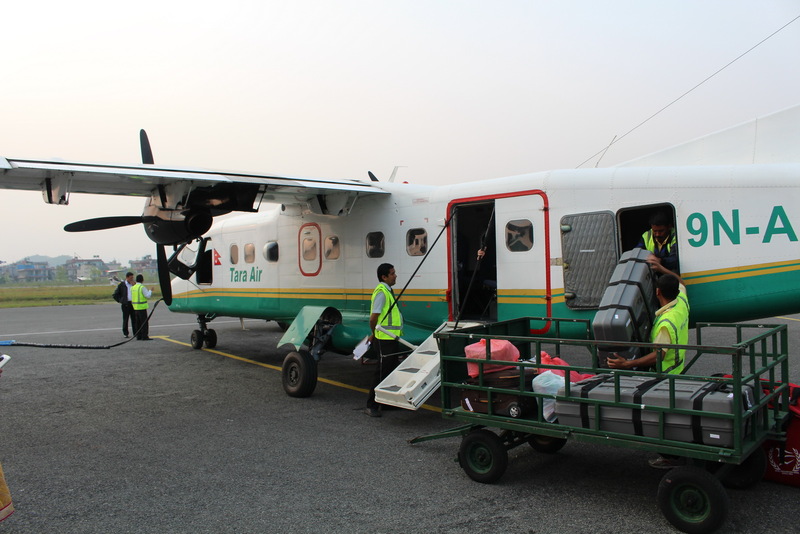 The folks at Tara Air said that the bike boxes would not fit, our guide had to insist and after some serious negotiating, they finally conceded and crammed them in the small plane. 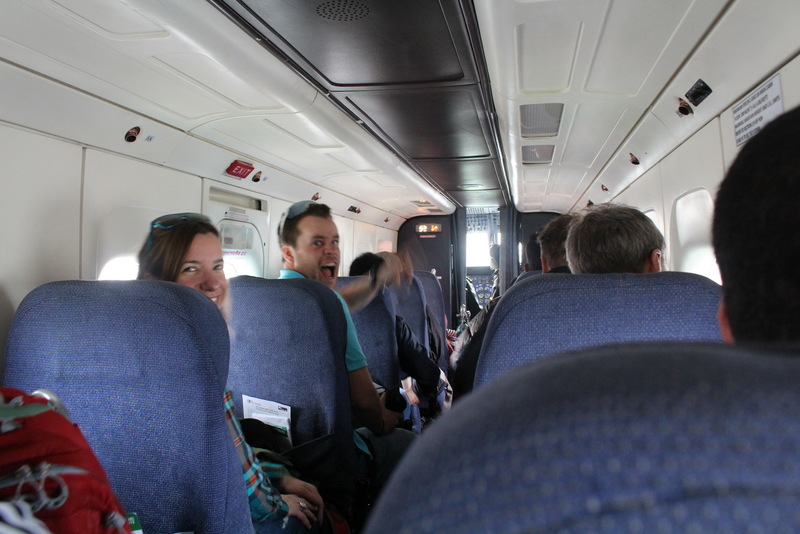 The flight to Jomson is a spectacular one. 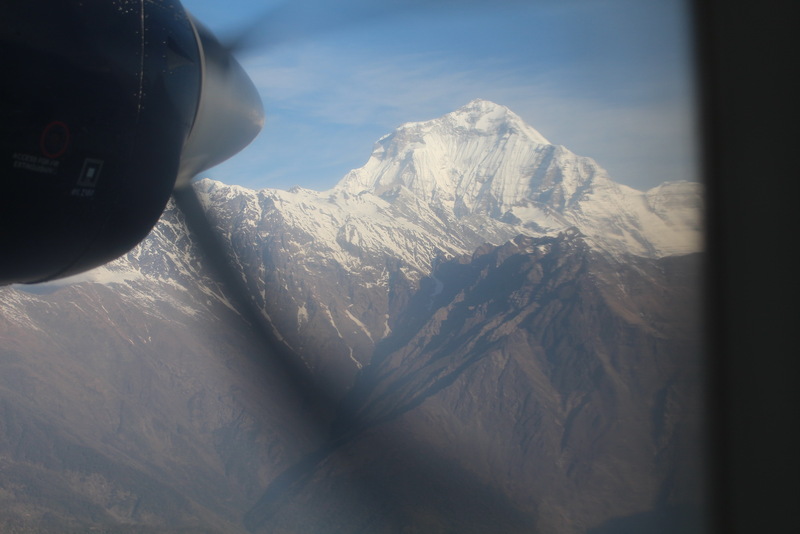 We traversed the Annapurna massif and as we were in a small airplane, we could fly very low and get a incredible feel of the looming mountains. 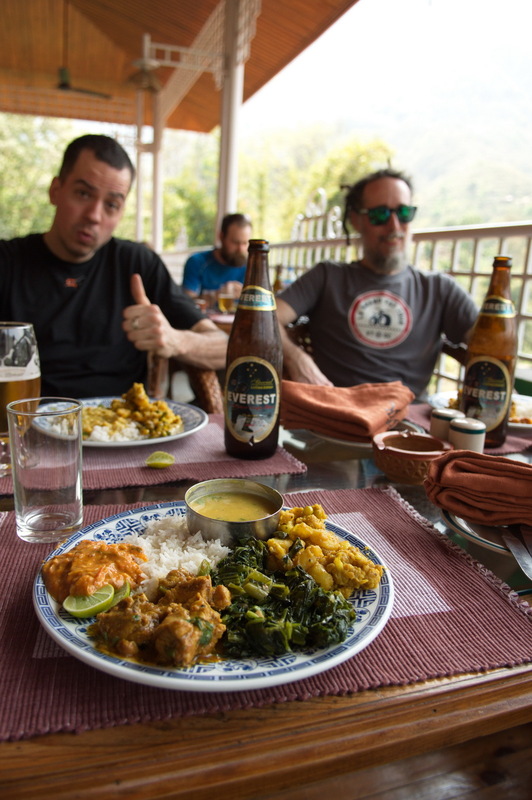 So far during the trip it’s been pretty warm, normally between 20c and 30c, but it was forecasted to be a chilly 1c in Jomson due to its higher elevation. 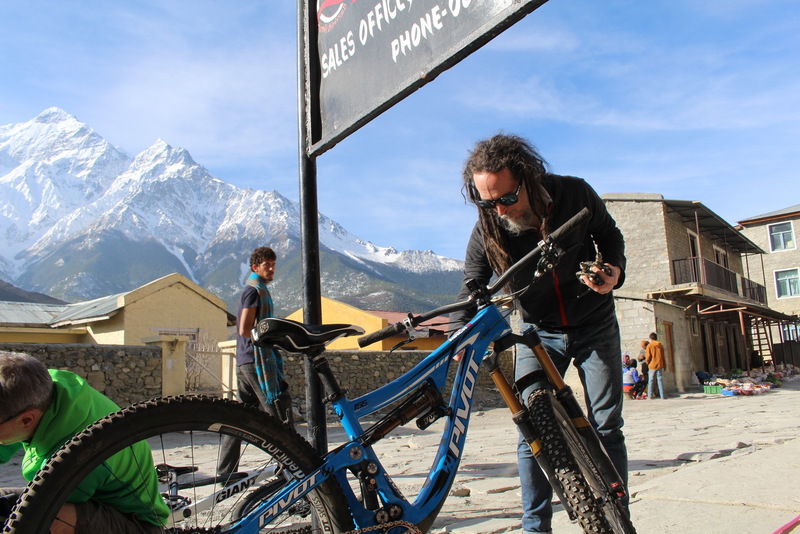 The sun was very warm, however, so it was quite comfortable building up the bikes and getting ready to ride. Isabelle and I were so happy to get on our regular bikes for the first time since last fall. 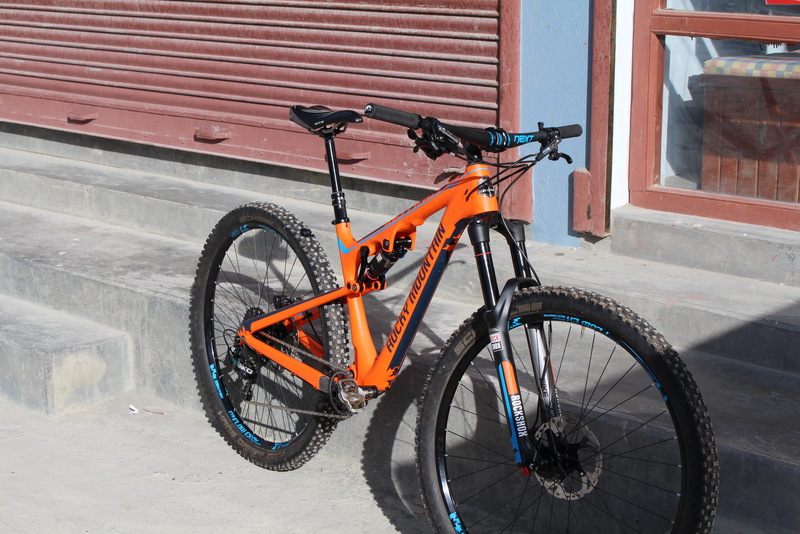 My first pedal strokes on the new Instinct were in Nepal… how cool is that! The view from Jomson is breathtaking. 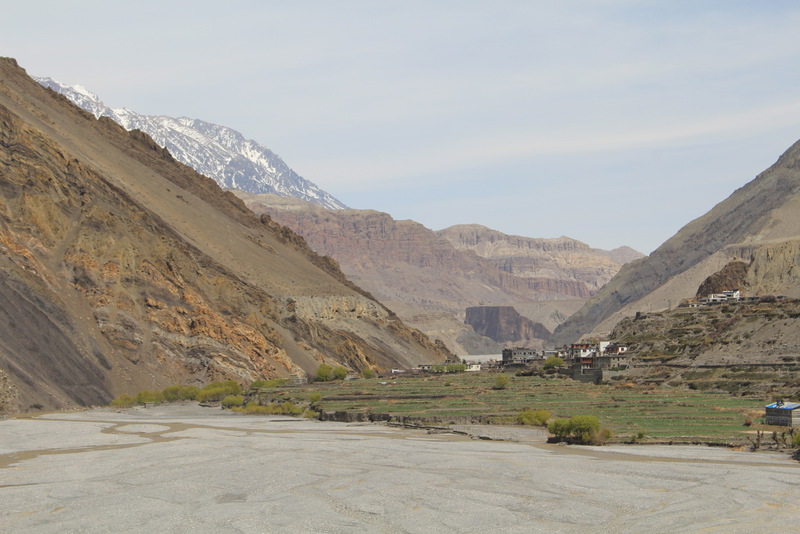 We were so excited about being in the beautiful Mustang region. 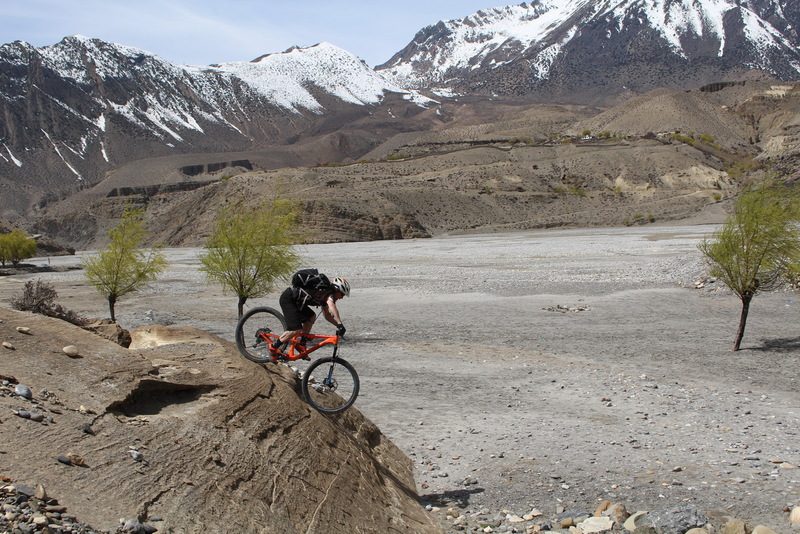 Our plan today was to ride along the Kali Gandaki river to get to Kagbeni. 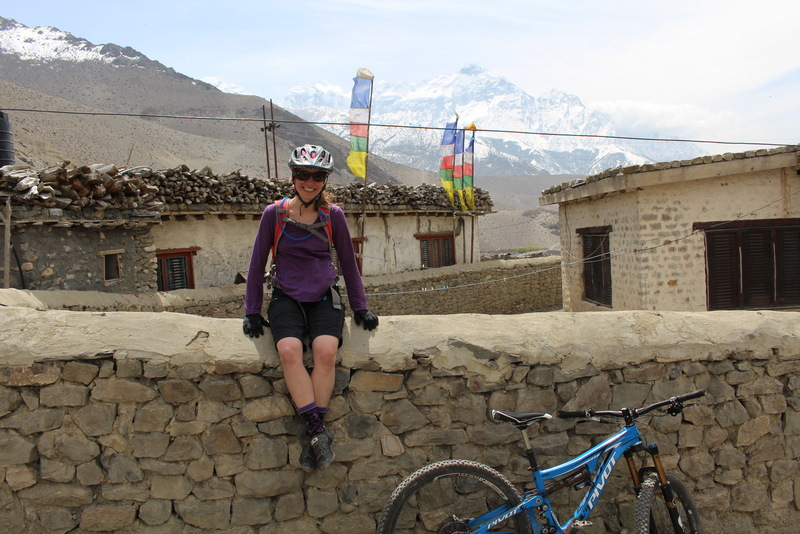 We alternated between riding on jeep trail and scenic singletracks. 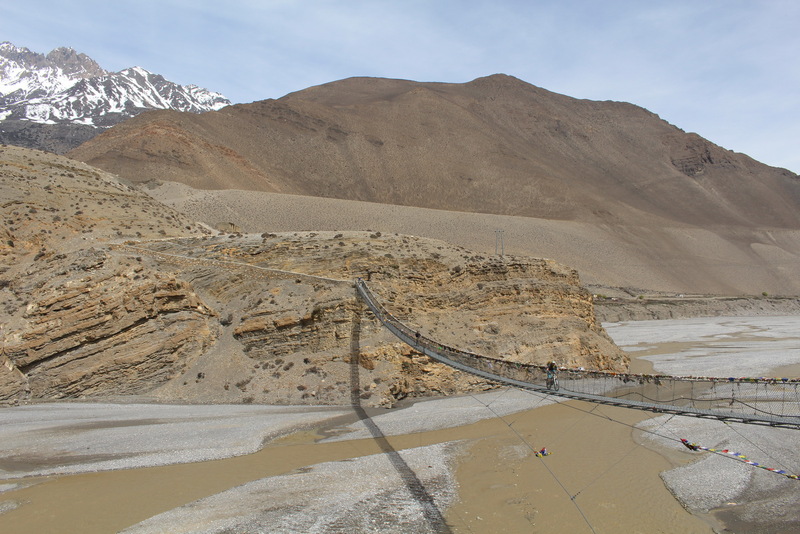 Even though we did not have to cross the river at this point, some of us could not resist the adrenaline rush of riding over the bridge. 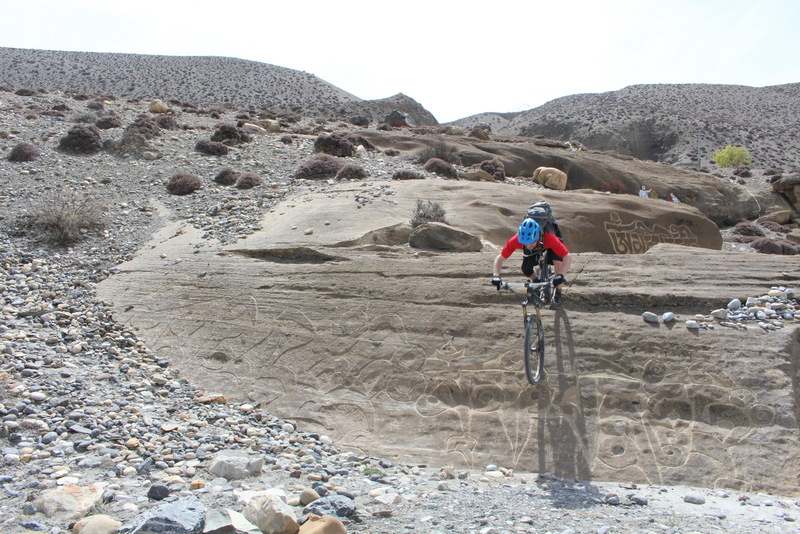 We also found some great rocks with great traditional graffiti to play on. 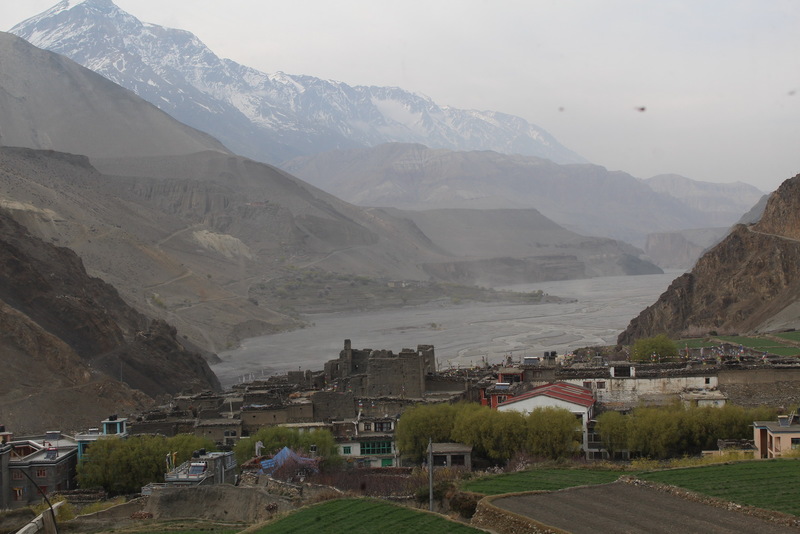 Our destination for the night was Kagbeni, and we could see it far in the distance, sitting next to large river delta. 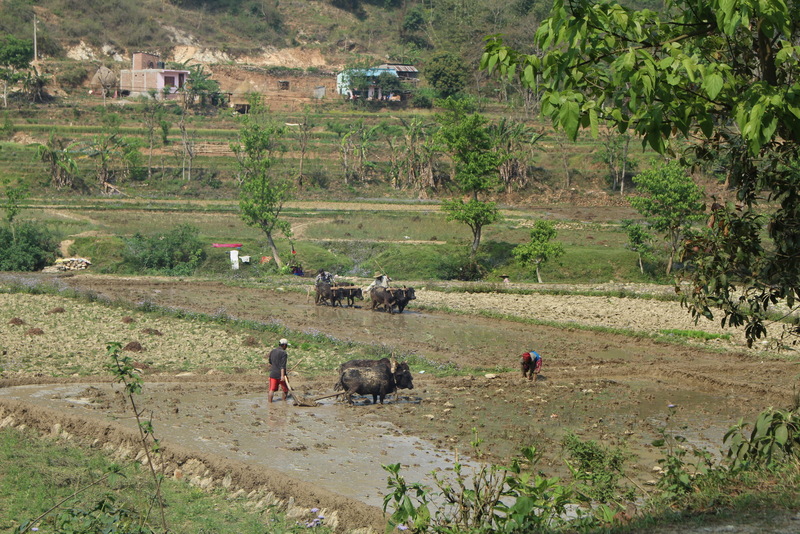 Our hotel was the high in the village, but the remarkable views make the long climb worth it. 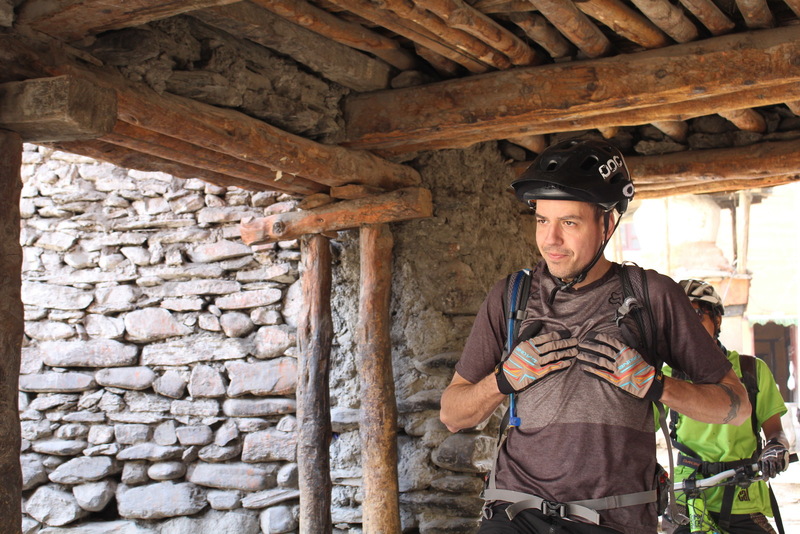 After dropping off our gear at the hotel, we set out again to visit the medieval village of Kagbeni. 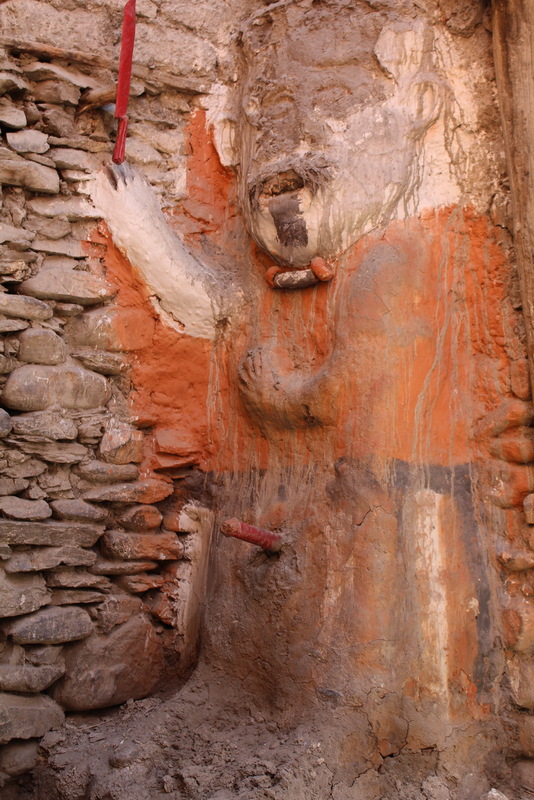 Ugo got a bit excited when we met the god of fertility for the first time! 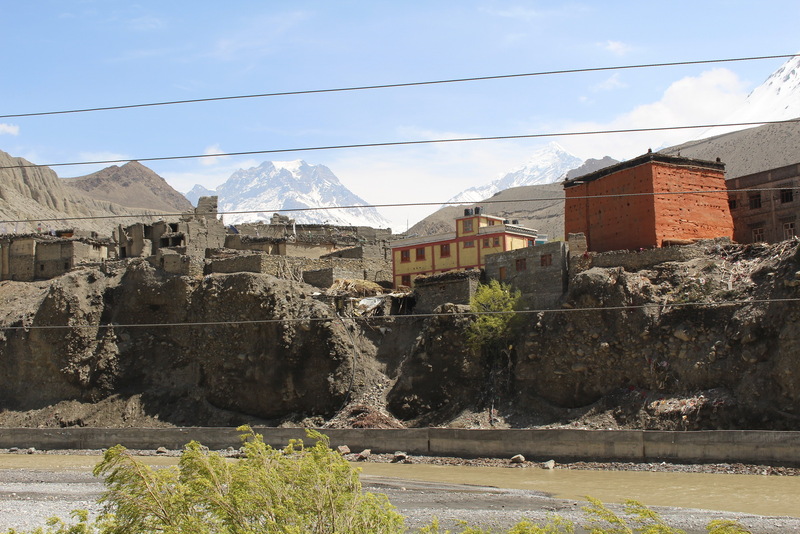 Kagbeni is an incredible place. We all agreed that we could easily spend weeks here. 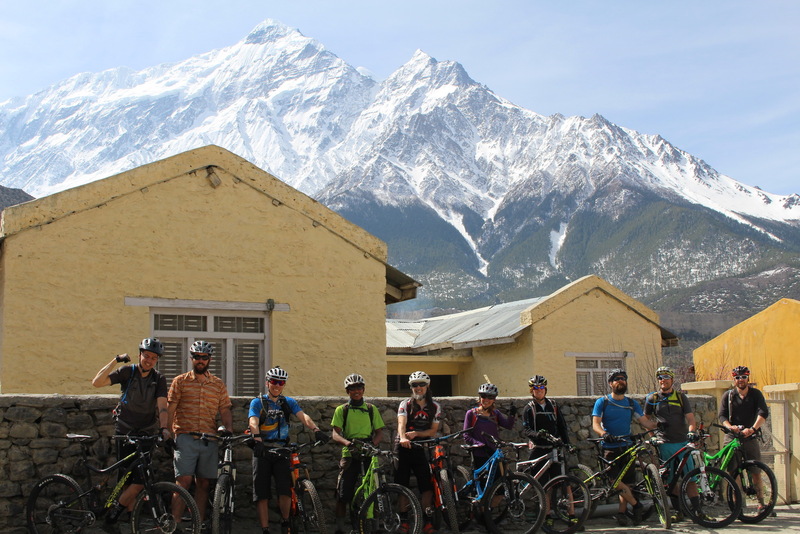 It’s peaceful, the scenery is amazing, we are surrounded on all sides by 7000 and 8000m peaks, and the people are amazingly friendly– as seems to be the norm throughout Nepal. 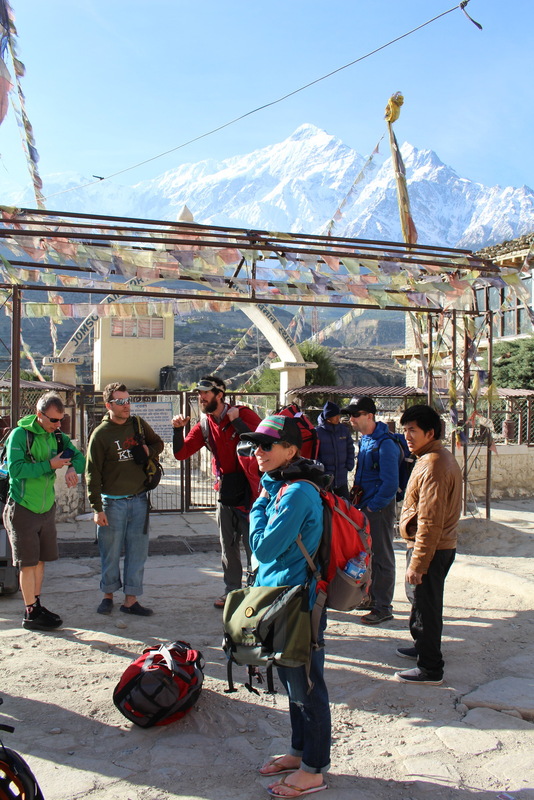 We visited an ancient monastery which dates back to 1420. The peace and quiet of that place is truly contangious. There are still monks being taught there and Taylor gave them a quick English lesson. 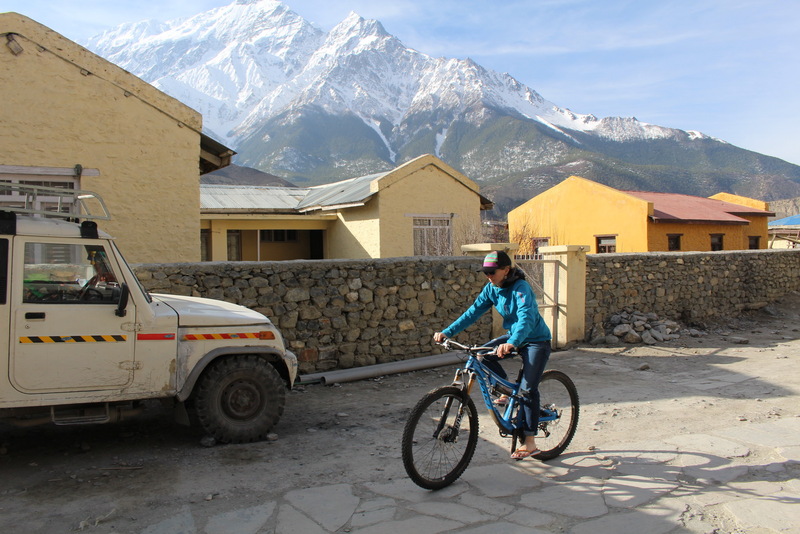 It was quite something to see the small monks amazed by our sophisticated bikes, while at the same time we were amazed by the simplicity of their full lives. 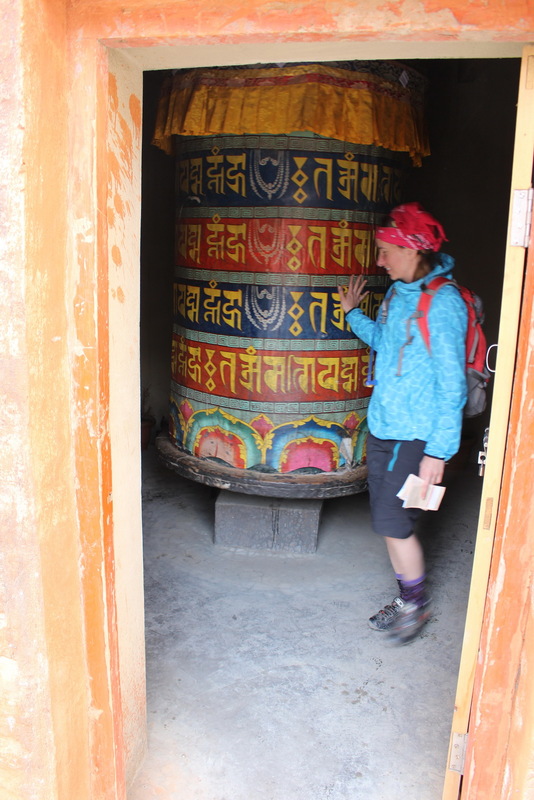 Prayer wheels are everywhere in this Buddhist region of Nepal, we gave them a turn, wishing for good luck throughout the rest of our trip. 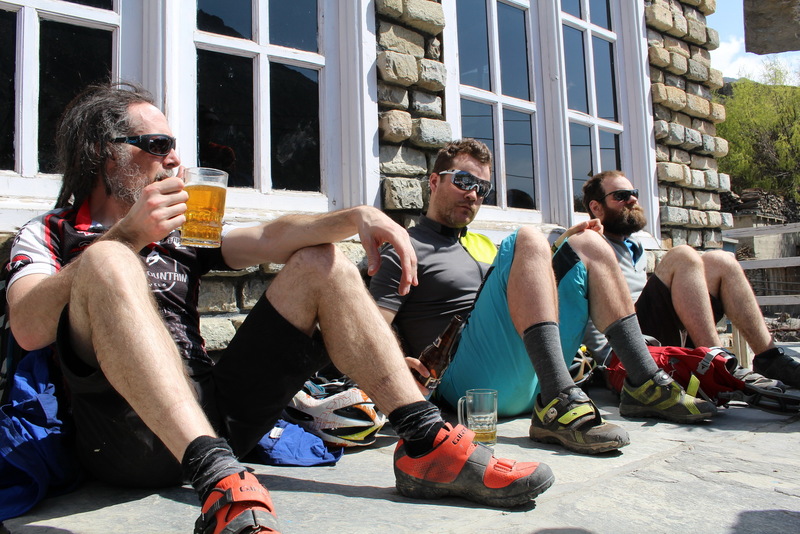 We spent the rest of the after noon relaxing in the warm sun with a cold beer. 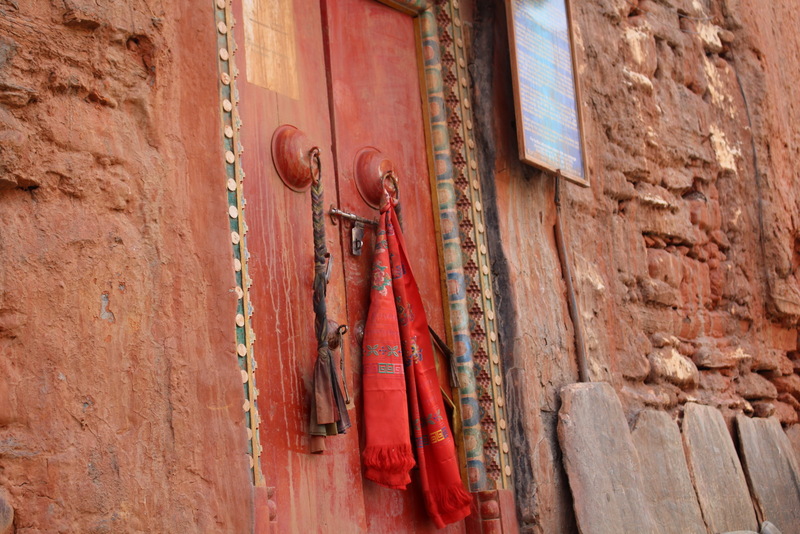 The streets of Kagbeni form an elaborate maze of ancient corridors, flanked by rock walls. 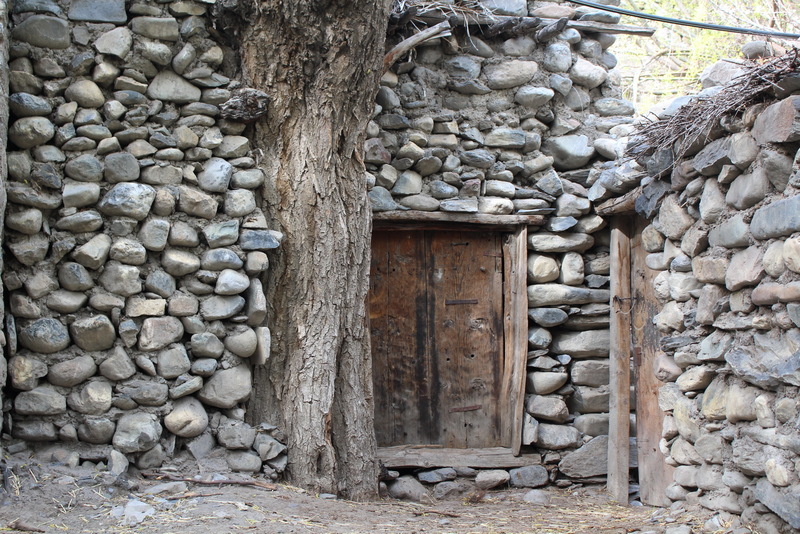 Roaming between these walls almost had us convinced that we were back among the medieval times. 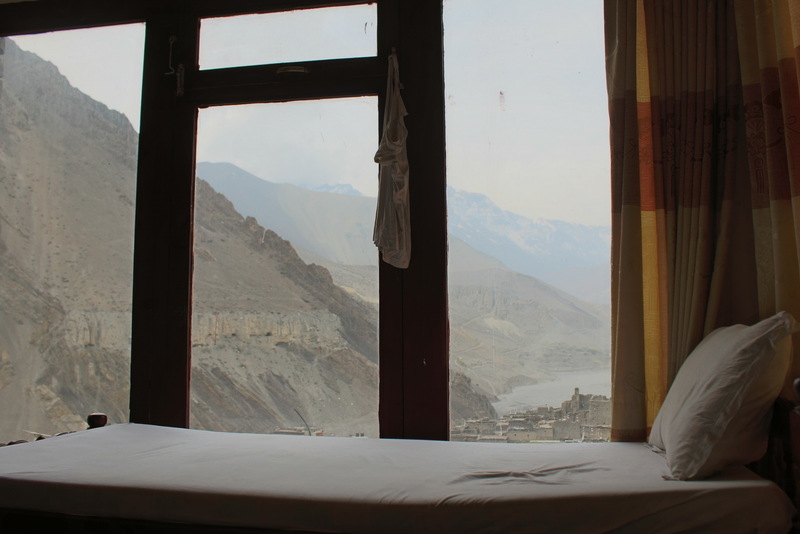 Back at the hotel, we enjoyed the incredible view from our room. I love this place. Tomorrow we go high in the mountains.